Matte texture. No odorants contained for most natural depilation. 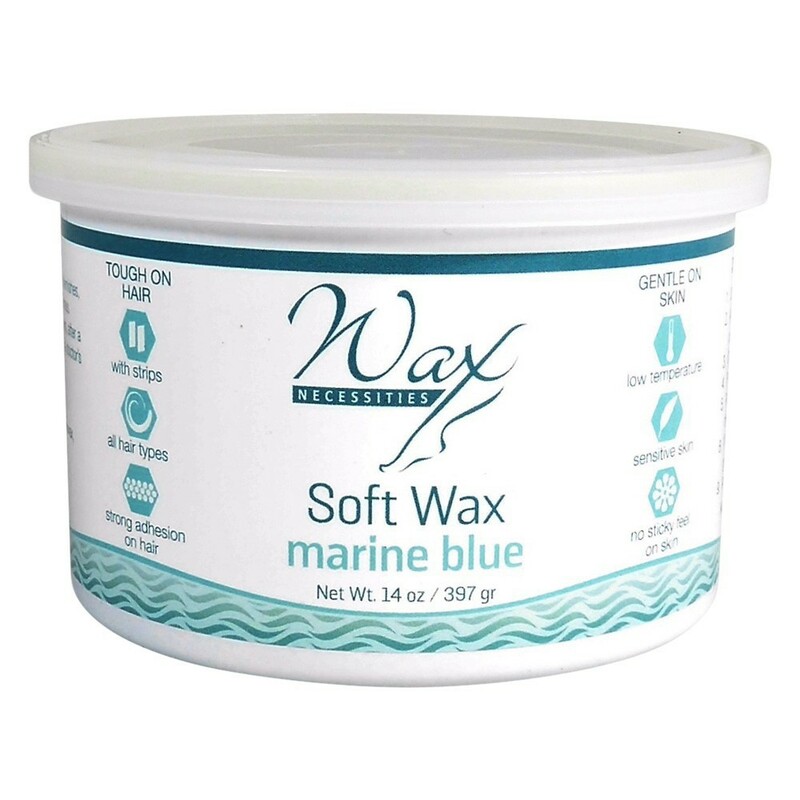 Marine Blue wax is a combination of synthetic and natural resins and innovative components, giving wax special properties. 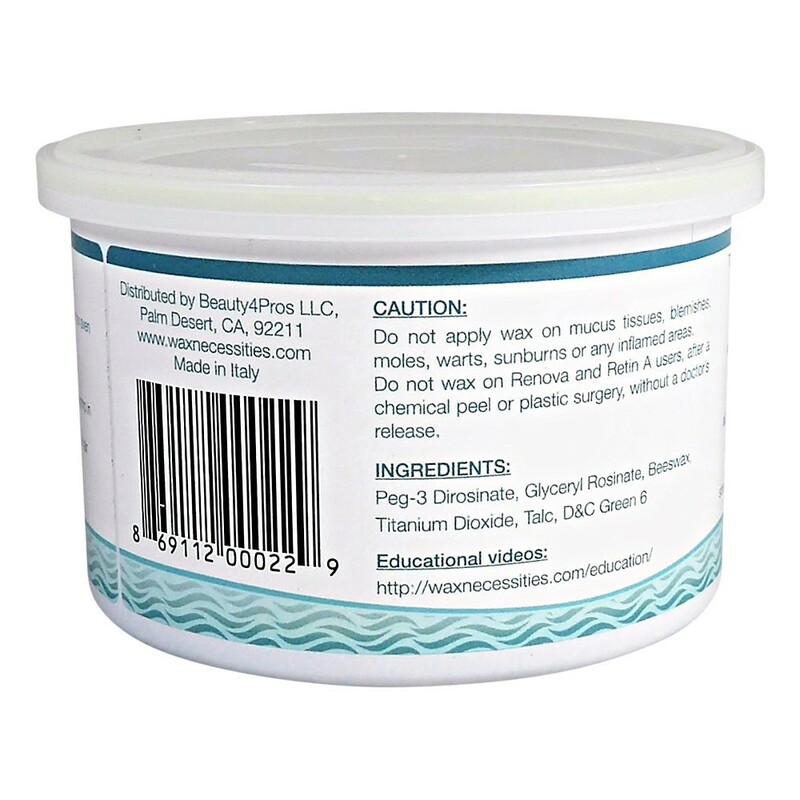 This type of wax is known for outstanding elasticity. It`s applied to large areas in a very thin and even layer with the help of a spatula or a cartridge. 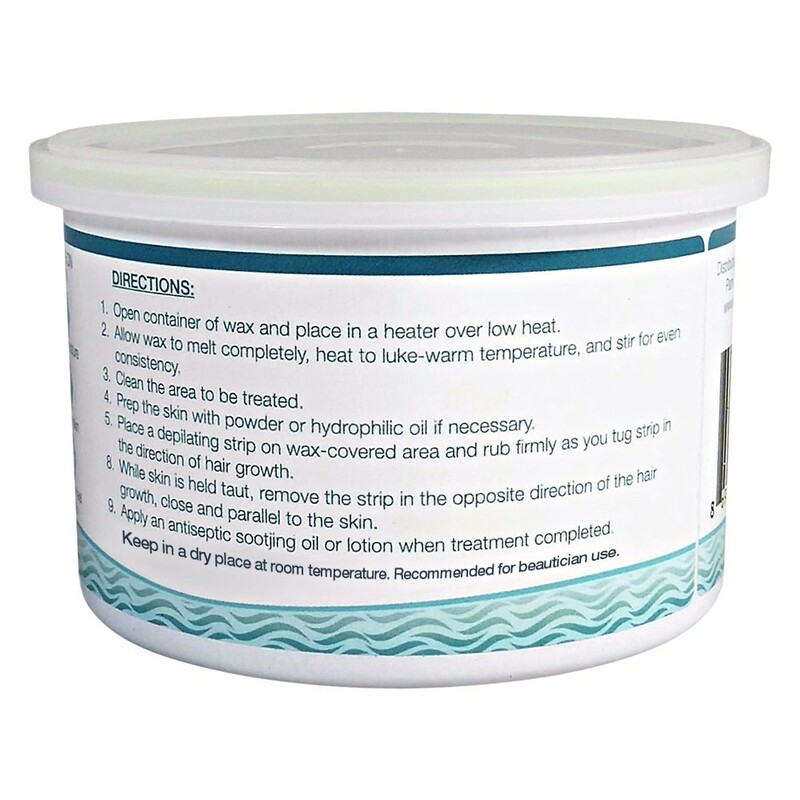 Melting temperature is 37-39.C/99-102 o F.
While stiffening, the wax forms a thin film that fixes all the hairs (especially when working with a spatula) and ensures rigid adherence with depilation strip. Leaves no stickiness on the skin. 100% hair removal on the first try, no breaking hair. Ideal when working with a spatula. See detailed instructions on the package. Treat the skin with a pre-wax lotion and some talc. Take some wax with a spatula. Remove the excess of wax. With the edge of the spatula, quickly spread a thin layer of wax in the direction of the hair growth. Put the strip onto the application with the edge of it left on the surface free of wax. Press the strip firmly to the skin. Grab the edge of the strip and pull it in the direction opposite to the hair growth, parallel to the skin. After the procedure, remove wax residue with an oil-containing lotion. very good wax i am happy!! !